The first meeting of the working group for implementation of the Convention on the Legal Status of the Caspian Sea is scheduled to be held in February in Baku, Spokeswoman of the Foreign Ministry of Azerbaijan Leyla Abdullayeva told Trend. "The first meeting of the working group is scheduled for February. The exact date of the meeting will be announced this week," she said. 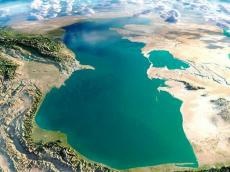 On Aug. 12, the heads of five Caspian states signed the Convention on the Legal Status of the Caspian Sea at the 5th Summit of the Heads of Caspian States in Aktau. The Convention is a historic document for the region, the work on which has been carried out for two decades since 1996. The Convention was signed by Russian President Vladimir Putin, Azerbaijani President Ilham Aliyev, President of Turkmenistan Gurbanguly Berdimuhamedov, President of Kazakhstan Nursultan Nazarbayev and President of Iran Hassan Rouhani. The leaders of the Caspian states also signed other important documents arising from the Convention, in particular, the Protocol on cooperation in the fight against organized crime in the Caspian Sea, the Agreement between the governments of the Caspian states on trade and economic cooperation, the Agreement between the governments of the Caspian states on cooperation in transportation, the Agreement on preventing accidents in the Caspian Sea and the Protocol on Cooperation.